When it comes to buying a smartphone, consumers around the world are spoiled for choice nowadays. Each year, companies are producing more and more different smartphones, with an increasing number of manufacturers joining the fold in the quest to get our attention (and hard-earned cash). All of this competition means that it's no longer required to dish out $600-$700 in order to get a good smartphone. You won't struggle to find mid-range handsets that offer many of the bells and whistles present on current flagships for about half the price. Samsung is a leading force in this segment of the market, with its A and J series enjoying popularity on a global scale. However, it's also true that the Korean tech giant has a habit of making a lot of models and variations for these two series, which leaves people in confusion. What to buy? Which one is superior? Where are they available? Which one provides the best value for money? 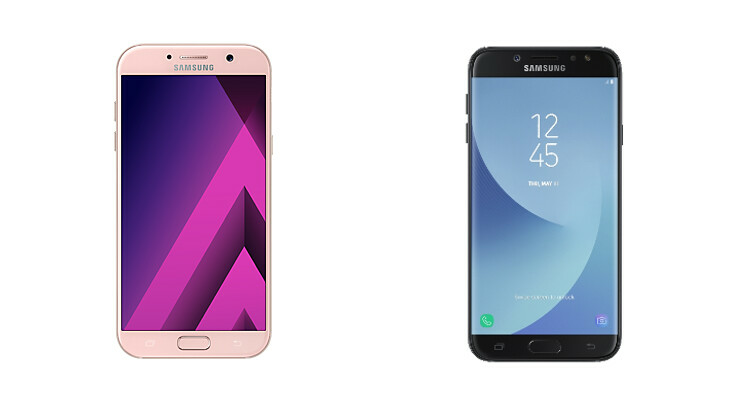 To answer these questions, let's examine and compare some of the most popular members of Samsung's mid-range line-ups. We're gonna start out with the most basic models of the two series. To avoid any confusion, the J3 mentioned in this article is the US version which is known and sold as J3 (2017) by AT&T. This version pretty much the same as the J3 Emerge offered by Sprint, Verizon, and Cricket's “Amp Prime 2". 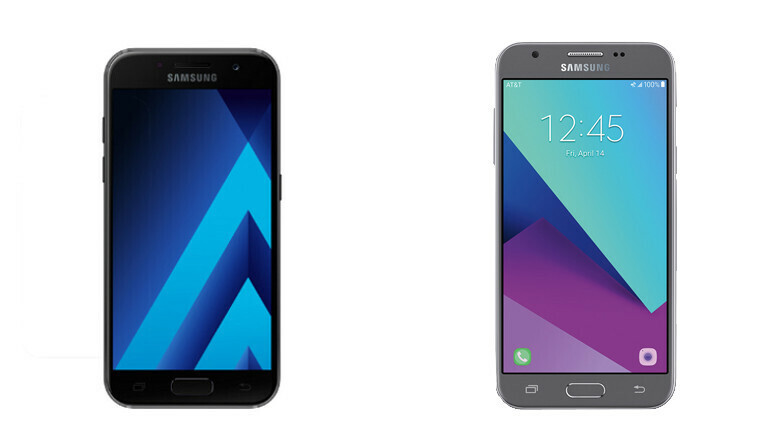 The 2017 Galaxy A3 is smaller and more compact. The materials used for its creation will immediately give you a hint of which of the two line-ups is more premium. Its body is made of glass and metal, while the phone itself looks a lot like the Galaxy S7, and even features the same IP 68 water and dust protection rating. Meanwhile, the J3 doesn't offer any resistance to the elements and feels a lot cheaper due to the fact that it's made out of plastic, although its design is also quite decent. Hardware-wise, the trend continues - the A3 has the superior chipset, more RAM, and better cameras. Still, not all is bad on the J3 front – you can expect more time between charges thanks to its 2,600mAh battery, and it ships with Android Nougat pre-installed. Also, there's an international model that comes with a beefed-up camera, metal body, and slightly better performance. Taking everything into account, hardly anyone will be surprised that there's a difference in the price tags as well. The J3 can be purchased for $180 from AT&T, while the smallest 2017 A model goes for about $250 on Amazon. Let's move on to the middle of the mid-range bunch. As you can see, the two handsets are nearly identical in terms of size, but the J5 (2017) is slightly lighter. The plastic exterior found on the J3 has been substituted with an all-metal body, but it's not waterproof, as opposed to all the members of the 2017 A series. Both phones boast a 5.2-inch AMOLED screen, but the one on the A5 is Full HD and thus has a much more acceptable pixel density. In terms of performance, the clear winner here is the A5, although Samsung has made sure to include an octa-core processor on the J5. As for the cameras, the 16MP combo on the A5 is better both on paper and in real-life usage. Both devices are absolute champs when it comes to battery life, as they are able to last longer than most contemporary flagships. You do get twice the internal storage if you go the A5 way, although both models have microSD support. The J5 currently sells for about €260 ($297) in Europe and is not officially available in the US at the time of writing. Meanwhile, the A5's price tag stands at $340. Finally, we have the big boys of the budget-friendly gang. Apart from the display size and larger power cell, there isn't that much of difference between the A5 and A7. Here, we get 5.7 inches of screen real estate and a 600 mAh increase to battery capacity. This boost increases the battery life by a further 20%, meaning that the A7 is easily one of the best performers in this category. With the J7, there are a bunch of spec improvements - we finally get a 1080p display, which has a slightly higher pixel density than its adversary due to it being a tad bit smaller. The system chip and cameras are the same as those on the J5, which means that they are second best to the ones present on the A7. However, the "big J" matches its rival in battery size and RAM department, while remaining with an internal storage capacity of 16 gigabytes. So, how much do these phablets cost? The A7 can be currently grabbed at about $370, while the J7 isn't officially sold in the States. 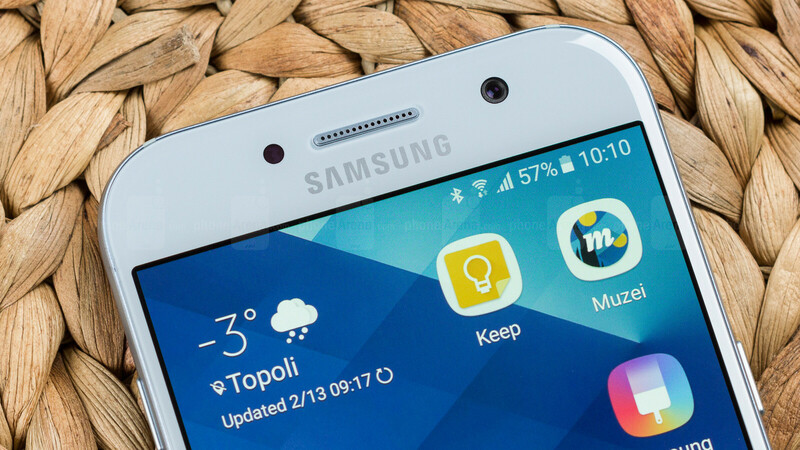 It can be purchased for €339, and we feel like Samsung will charge the exact same amount if the phone ever makes it to the North American country. And the C-series are left? J-series isn't even the midrange but lowrange. The A-series & C-series should've been compared. The J series is lower midrange, the A series is upper midrange. The C series is available only in Asia, AFAIK. what is the difference between j and A series? they almost have same specification, its just A series are premium and J series use cheap material. j5 2017 and A3 2017 have same soc, same ram, same storage, both HD display, its just j5 has slightly bigger display and battery. if J is lower midrange then A3, A5, A7 are also lower midrange. 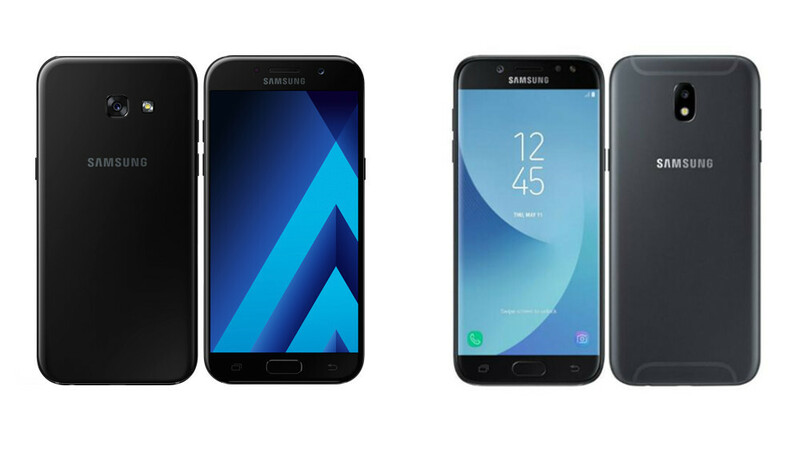 Why can't i find A-series on Samsung USA website? That's because Samsung does not officially sell the A series in the United States. I think these pit up against the iPhone perfectly as far as spec and features overall. Shows how much folks are being price gouged by Apple. Also puts in perspective costs of phones like the One Plus and the G6. Also shows how the Galaxy S, when it was $650 was fairly priced when you consider its fancier design, better cameras, water resistance and feature set. I wish they would bring the A8 to the USA because that's the one I want. If I didnt have the cash to get the S or Note, the A7/8 would most certainly be the phones I would buy if I had to buy an Android. Tjis is also why this design language gets boring so quick, because Samsung has used it since the S3 and its been used on every Galaxy model since, and we really need something fresh; like what the S has brought. Oh f*ck you, I've seen the all these model with my own eyes. I live in Asia and no way are these models better than iPhones in terms of specs. As for features, the only feature that differentiates these Galaxy models from the iPhones is that they lag like crap. The J7 actually ships with the 1.9GHz 7880 here in SEA region. Anyone looking at an A3 should consider the Sony Xperia XA1 - similar size/display resolution, but more RAM, storage, and a far better camera for $20-$30 more (or the same price when on sale). The XA1 is MUCH taller than the A3. If height doesn't matter, sure.